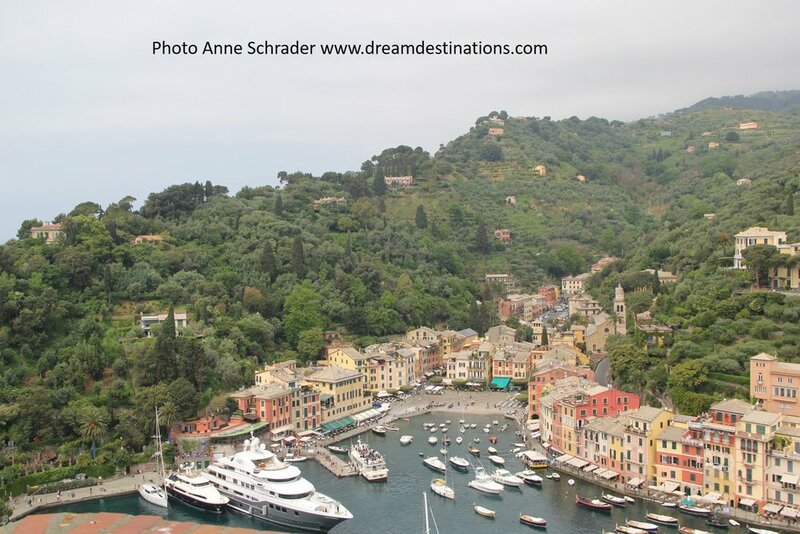 We got to visit this great little town while on a SilverSea luxury cruise in the Western Mediterranean cruise in 2015. I can’t tell how much we enjoyed this quaint little city. After a short tender ride (a small boat to get from our larger ship to the port), we got to this interesting town. First we went on a special wine tasting, held at a cliff top castle. Prawns in Portofino—Are you hungry? They tasted as good as they looked!! This is a gem of a place that we got to visit on our Princess Royal Princess cruise in the Baltic in 2014. The Gamla Stan, the historic old town, is full of color, has great little shops and the royal palace and parliament buildings all concentrated in an easily walkable area. Old Town Stockholm Door—sure looks like a face to me! 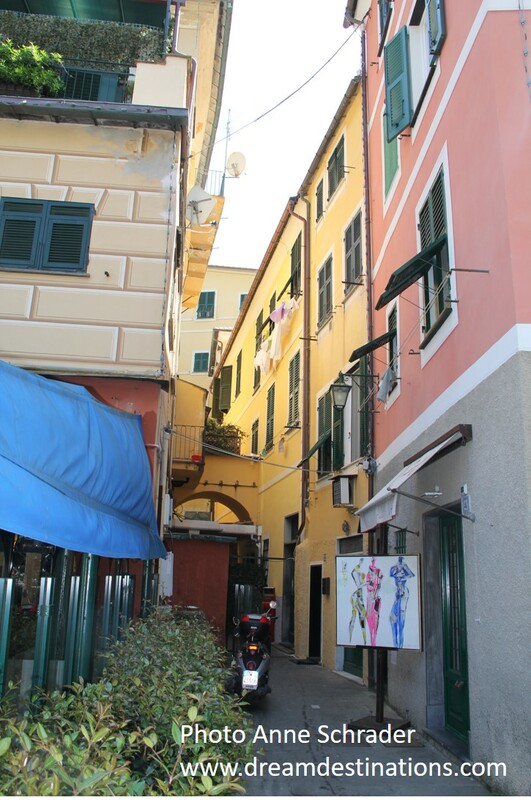 On our Celebrity Equinox cruise in 2013, we took a shore excursion along the Amalfi coast to Positano and Pompeii. The single lane road down the Amalfi coast on our small tour bus was dramatic and a little nerve racking but well worth the ride. Positano, on a sharp cliff inlet, is a wonderful place to visit. It is a pedestrian only and there are only two real activities here—shopping and visiting the beach but it would be hard to find a more charming place to spend a couple of days. This is a place to slow down and enjoy the best things in life. Here are 3 pictures for you to see why we want to go back and stay instead of visit for a few hours. There is something about color that pops out on these two islands—the contrast of the white buildings, (often with blue domes), with colorful pastel buildings randomly popping up or stark white building suddenly adored with colorful plants is unique in our experiences. Maybe the best sunset in the world—this is the view from Santorini! White Buildings with dramatic splashes of color in Mykonos. We also took a short trip to Sintra by taxi—it is some of the best money we have ever spent. 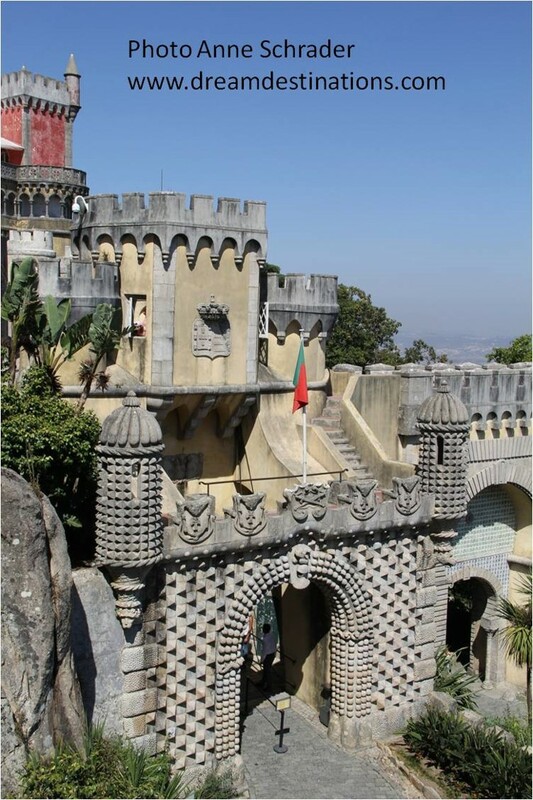 By using the taxi instead of the train as was our original plan, we got to see the town, the Royal National Palace and Pena Palace. Our driver was fabulous—we basically rented him for most of the day. #1 of 9 Invergordon Wall Murals—Parade Time—this remembers the Royal Marines who were stationed here for many years. Invergordon Highland Gathering—some of the sports competitions and cultural events of a typical gathering of the clans! River cruising can provide some unique opportunities to visit some really colorful places. On our AmaWaterways Enchanting Rhine Christmas Market cruise in December 2016, we got a chance to visit this capital city of Alsace for the third time. This place is so good we stopped here for a day pre cruise and it is just amazing! Another Alsatian town that splashes color is Riquewihr. Located on the Alsace wine road route, some have called this the most beautiful town in France. With a backdrop of the nearby Vosages Mountains and surrounded by vineyards, this old walled city looks like it is still in the 1500’s, with its cobbled streets and colorful half- timbered buildings. In short, colorful places await you in Europe—please visit one of these great towns or villages! We hope these words inspire you to become one of our clients or continue our travel relationship with us and learn to appreciate our world more. Cruising by ocean ship or on a river cruise is a great way to see great colorful sites. When you are spending your hard earned money for a vacation, you want an advisor who can match you with the right trip. You want someone who will understand your expectations and fuel your anticipation (or excitement) to get you the best possible trip experience. 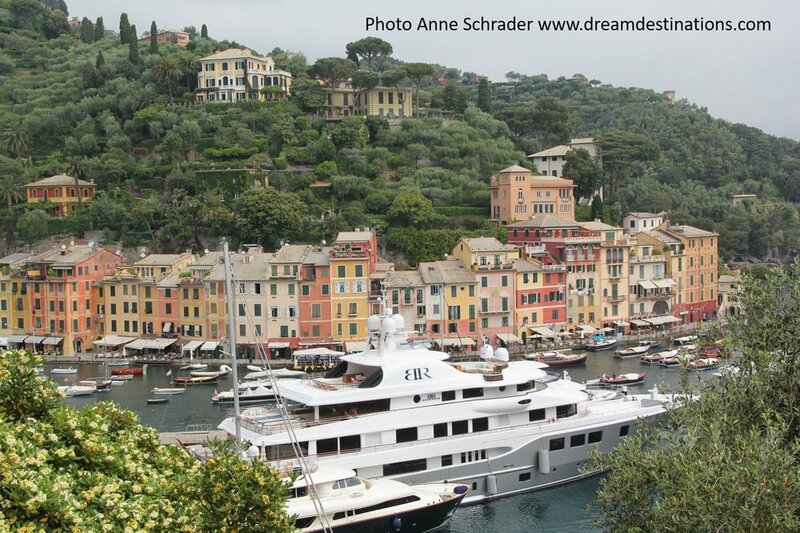 We want to help you achieve your travel dreams—remember if you want to Visit Dream Destinations—please contact Hank (713-397-0188) or email him at hschrader@dreamdestinations.com to get started or just tell us about your travel dreams. We are here to help you: Savor life . . . make memories . . . Visit Dream Destinations! Your journey begins here! Older PostWhat is the Best Europe River Route?